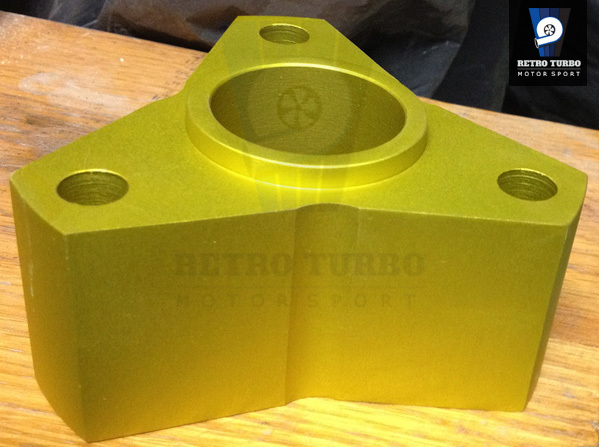 M90 to M47 gearbox driveshaft adapter for Volvo 240 Series. Handy thing when you do a gearboxbox swap but you don’t have a M90 driveshaft! Made of PA6 aluminium, comes with 3x M12x90 class 8.8 bolts. - gold… ask about other colors at the checkout! Link has to be installed in such order: M90 output shaft -> adapter pressed in into the output shaft -> drive shaft center ring pressed in to the adapter ->rubber ring -> M47 driveshaft. This link fits only a 3 bolt output shaft on your M90 gearbox. If not sure getting in touch before placing an order would be preferable. 12 Months manufacturer warranty applies. By purchasing this product you agree to our T&C found here. Get in touch through contact form in case of any questions. We post worldwide! SKU: m90toM47adapter. Category: Gearbox, Volvo 240 Series Parts.